RBI Assistant Recruitment 2017: Apply online for 623 RBI Assistant Vacancies at rbi.org.in. The Reserve Bank of India invites applications from eligible candidates for 623 posts of “Assistant” in various offices of the Bank. Selection for the post will be through a country-wide competitive examination in two phases i.e. Preliminary and Main examination followed by a Language Proficiency Test (LPT). Please note that Corrigendum, if any, issued on the above advertisement, will be published only on the Bank’s website www.rbi.org.in. 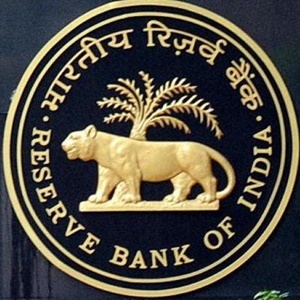 The full text of the advertisement is available on the Banks’ website www.rbi.org.in and is also being published in the Employment News/ Rojgar Samachar. Schedule of Online Preliminary Test (Tentative): November 27 & 28, 2017. However RBI reserves the right to change the dates of examination. Schedule of Online Main Test (Tentative): December 20, 2017. However RBI reserves the right to change the dates of examination. Before applying, Candidates should ensure that they fulfill the eligibility criteria for the post. Candidates are requested to apply online through Bank’s website www.rbi.org.in. Helpline: In case of any problem in filling up the form, payment of fee or receipt of call letter, queries may be made at candidate grievance Redressal cell http://cgrs.ibps.in/. Don’t forget to mention ‘RBI Assistant Examination- 2017’ in the subject box of the email. “The Bank reserves the right to increase/ decrease the number of vacancies as per the requirement or not fill up the vacancies”.